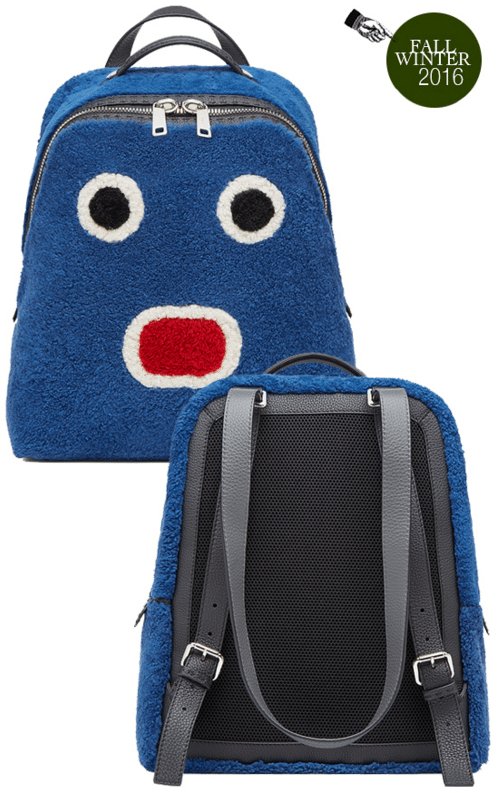 There is a new ‘face’ in town this Fall Winter 2016, thanks to Fendi. 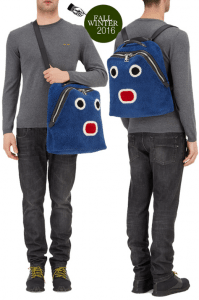 The brand that brought us the quirky and coveted bag bugs has something new and cute to join your bag collection.The new ‘faces’ collection (Inspired by the millennia generation emojis and emoticons) cleverly uses hardware to create different face motifs on their new colour block bag designs. Complimented by bold colours, they achieve a very graphic appeal and most importantly, looking exceptionally Instagram friendly. 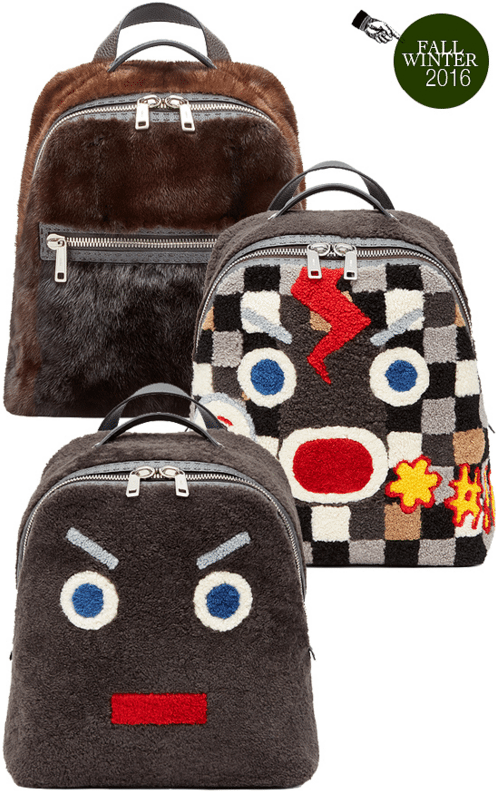 And since kitschy is the hot trend now, the more irreverently weird, the more interesting and wallet inducing they are.However, the one thing that truly appealed to us for Fendi’s new fall winter collection are not these surface embellishments. It is one of the very unique backpack design that allows the owner to conventionally wear the backpack on the shoulders and also allow for cross body sling, like a messenger bag.Through the clever use of adjustable shoulder straps, the length can be varied for 2 ways to carry. It even becomes the top handle when in shoulder strap mode. A simple idea but highly innovative. I always find backpacks trying at times to retrieve your contents since they can be hard to sling to the front when on your shoulders. So being able to carry it like a messenger when needed, the bag instantly becomes more user friendly.There are many options for this format of the backpacks. You can choose from furry ‘Faces’ motifs in striking coloured fur or plain leather ones with a detachable clutch in a contrasting colour. Innovation certainly meets quirky and equates a must have in our books.